Campagnolo might have the heritage, and new boys SRAM might have the innovation, but when it comes to road bike components, Japanese brand Shimano still rules the market. Here we look at the company’s range of road bike groupsets and explain the distinctive qualities of each. There are less expensive Shimano components available but Claris is the starting point among Shimano’s complete road groupsets. Despite being found on bikes priced from just £300, Claris is actually a very impressive system with decent braking, excellent gear change performance and proper Dual Control STI integrated brake and gear levers; in fact, the brake calipers recently received an update and now generate 30% greater braking force than previous models. Its chainset is also a beautiful bit of kit and belies the budget pricetag. Of course there are compromises, mainly its eight-speed nature — so you can only have eight sprockets on the cassette. However, the rear derailleur can cope with sprockets featuring anything up to 32 teeth, so there is still a very broad range of gear sizes on offer. And just to help climbing even more, there is a choice of compact chainset — with chainrings featuring 50 and 34 teeth — or a triple chainset with 50, 39 and 30 teeth. Updated in 2016, Sora has traditionally been the utilitarian workhorse groupset in the Shimano road bike family but now it comes with some snazzy details too. In operation there are noticeable improvements, not least more powerful dual-pivot disc brakes, optional mechanical disc brakes, and the chance to use a wide-ranging 11-34t cassette. In terms of aesthetics, the new Sora features a four-arm crankset and a smart finish like its posher siblings, while internal cabling keeps everything looking clean and tidy. One area where there has been no change is in the number of gears available, with Sora remaining resolutely 9-speed. However, that should mean it retains its reputation for bombproof performance. Shimano Tiagra underwent an upgrade in 2015, bringing it slightly more inline with the groupsets above it. Tiagra has traditionally been seen as marking the crossover point between leisure road bikes and enthusiast road bikes — that is to say, it has always outwardly displayed many of the qualities of Shimano’s better groupsets, but never quite matched the performance. New Tiagra also follows in that trend to some extent, with a very pretty four-arm chainset, sleeker Dual Control STI levers and a rear derailleur that can cope with sprockets of up to 34t, which is great for climbing. However, Tiagra remains a 10-speed system, meaning it can’t match — and isn’t compatible with — 105, Ultegra or Dura-Ace. Upfront you have the option of a double chainring, which comes in a multitude of options – 52-36T, 50-34T, 48-34T, 46-36T and 46-34T – to suit all abilities. There’s a triple option of 50-39-30T. Meanwhile although gear changes are good, Tiagra’s dual-pivot rim brakes aren’t quite as impressive, which means the Tiagra hydraulic disc brakes released in 2016 are a welcome option. This version of Shimano 105 appeared on 2015 model year bikes and it was a true revelation, offering essentially all the ability and performance of Ultegra with only a slight weight disadvantage justifying its lower place in Shimano’s groupset hierarchy. As with its posher siblings, 105 is now 11-speed and gear changes are supremely impressive, with the chain switching from sprocket to sprocket almost imperceptibly. There’s the option of using up to 32-tooth sprockets, meaning easy riding up the hill. Meanwhile, 105’s new dual-pivot rim brake calipers are superb and not only offer excellent power but also very good modulation, meaning you really can feel just how much braking force you need to exert. A recently upgraded front derailleur’s also welcome, losing the long arm of the previous incarnation to scrub any chance of the cables rubbing on your tyres. They also come in direct mount versions for integrated and aero frame designs. In fact, all in all 105 is possibly the best value for money road groupset in Shimano’s stable. Traditionally seen as the benchmark groupset for high-end but not necessarily racing road bikes, Shimano Ultegra is an 11-speed system with a lot of the same technology as Dura-Ace, just wrapped in a less weight-conscious packaging. It’s still lighter than 105, though, and features the same performance benefits such as smooth gear changes and excellent braking. The rear cassette will work with sprockets of up to 32-tooth, and again the dual-pivot brake calipers also come in direct-mount versions. So it’s a great system that’s only been slightly overshadowed by the emergence of the cheaper 105 set-up and the newer Ultegra (8000). 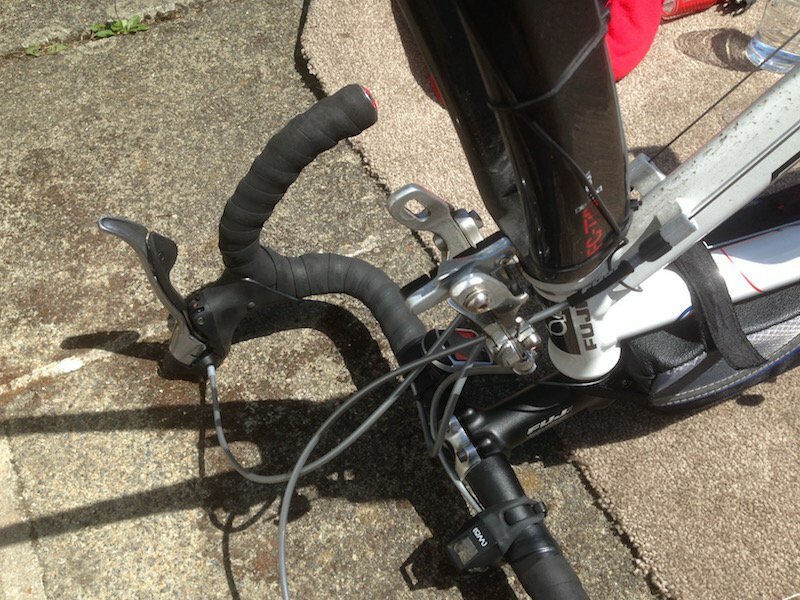 All the benefits of Ultegra but with the excitement of electronic shifting. That means there are a few more components and options, such as frame or seatpost-mounted batteries and remote gear shift buttons designed specifically for triathletes or sprinters. The beauty of electronic gears is that the derailleurs self-feather, giving perfect, quick shifting every time. They make a rather satisfying little ‘zip’ noise when they move, too. And that’s not the only exciting thing about Ultegra Di2: you can also specify Ultegra Dual Control STI levers which come with a hydraulic capability, meaning Ultegra Di2 hydraulic disc brakes are available, too. Traditionally seen as the benchmark groupset for high-end but not necessarily racing road bikes, Shimano Ultegra had an evolutionary upgrade in 2017. Mainly this was a case of tidying up the component range, so Ultegra now has its own official hydraulic disc brakes — rather than the previous ‘Ultegra-level’ hydraulic discs; Synchro Shift (as available with Dura-Ace Di2) which moves both derailleurs with the push of one button comes to Ultegra; Ultegra’s rear derailleur now gets a low-profile Shadow design like Dura-Ace; and Ultegra’s chainset has also been redesigned to look a little more like Dura-Ace. More practically, gear capacity with the widest long-cage rear derailleur can now accommodate 34-tooth sprockets while the front derailleur has been redesigned to accept wider tyres and wider gear pitch. Weight wasn’t reduced significantly in the 2017 refresh, but it’s still lighter than 105 yet features the same performance benefits such as smooth gear changes and excellent braking. The updated and latest Ultegra electronic groupset features trickle-down technology from the top-end Dura-Ace version. The new Di2 front derailleur’s designed to elicit the smoothest shifts under the most extreme of pedalling torques, while the rear derailleur is incredibly compact, sporting the same low-profile Shadow design seen on the Dura-Ace R9100. The Di2 (8050) comes in 11-speed for both road and time-trial/triathlon. 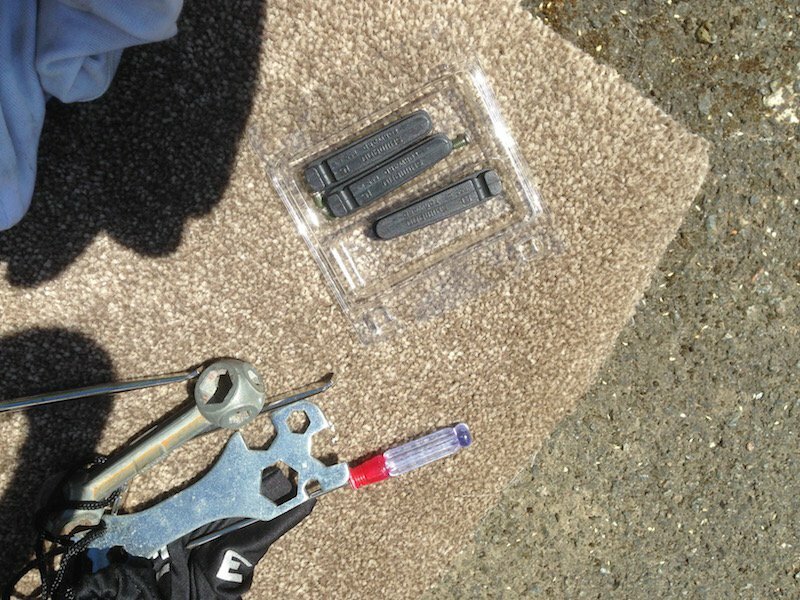 A new pair of dual-control Ultegra ST-8060 levers provides a simple and tactile shifting solution for time-triallists and triathletes, using just one button each side and utilising Shimano’s Synchro Shifting technology (seen above). There’s also a hydraulic disc-brake option. Now we get to the very cream of the crop — Dura-Ace, Shimano’s finest mechanical groupset range. While Dura-Ace Di2 rules the roost absolutely, there is still a very definite market for a sublimely built mechanical groupset. Dura-Ace is Shimano’s lightest and most refined cable-operated option for road bikes and it really does work about as well as anyone would expect, with smooth accurate gear shifts and superb brake feel. It’s an 11-speed set-up with dual-pivot caliper brakes or hydraulic disc brakes, and a range of chainset options. However, the rear derailleur has a maximum capacity of a 30t sprocket, so it’s slightly higher geared than Ultegra and other Shimano groupsets, hinting at its race-orientated nature. An update in 2016 saw a host of tweaks and improvements, including the introduction of an integrated power meter built into the crankset, meaning Dura-Ace is still pushing boundaries. Making the best just a little better (if you like the idea of electronic gear shifts), Dura-Ace Di2 is the flagship Shimano groupset and demonstrates the current zenith of groupset technology. It’s light, it works well, and it’s used by pro riders in the world’s biggest races. Of course, it’s not cheap and, as with Ultegra Di2, there is a need for batteries and different STI levers. But it’s as close to perfect as you will find, especially after its 2016/2017 facelift which has seen a slight reduction in weight; new connectivity abilities with Garmin and other electronic devices; and improved shifting that includes manual, synchro and semi-synchro options which moves both derailleurs at the same time via single shifter to maintain efficient chainlines. Clever stuff! Like Ultegra, there are time-trial/triathlon shifters and hydraulic disc-brake versions available. Am looking to purchase a bike and am wondering the differences in a Shimano Claris and a Sora drive train other than the obvious 8 gear vs 9 gear. Also are either of them upgrade able to the more superior Shimano systems such as Tiagra and the 105? Thanks. If the bikes rear hub can accomodate 8-9-10 speed casettes, you can upgrade an 8 or 9 speed casette to a 10 speed. However you will need a new hub or wheelset to accomodate the 11 speed 105 casette. This is incorrect. Yes, a cassette with more cogs might physically fit, but it would be useless unless the rear derailleur and shifter/brake lever assembly are also changed. So for the cost and hassle involved, it would be better to start with the more expensive complete groupset. It’s pretty difficult to upgrade either from Claris or Sora, as upgrading to say 105 would involve changing the entire drivetrain and controls – ie chainset, front and rear mechs, cassette, chain and sti levers. Components from 8 or 9 speed systems aren’t compatible either with each other, or 10 or 11 speed parts. A bike fitted with a 105 groupset on the other hand could be upgraded using Ultegra or Dura Ace components. No thats incorrect – you can fit a 10 speed chainset to a 9 speed groupset, and an 11 speed chainset to a 10 speed groupset. I have a 97 or 98 Cannondale R500 Triple. It is a 7 speed. Can I upgrade it to an 11 speed? Or what is the most I can upgrade to? Thank you for your time. I have an Orro Gold, a lot of bike for your money. It comes with the Ultegra group set (Di2 also an option). What a difference it makes from the old Sora set I had. Defiantly worth a purchase or upgrade too. I previously owned a bike with the Ultegra kit that I bought in 2008-9(I think) but I had to sell it while moving to another country. I am looking to buy a bike here but the prices and availability of high end bikes are ridiculous here. I have found a local store that is selling a 105 set bike at a reasonable price but it seems to be dated. I’m not sure about the exact year of manufacture. Is there anyway to find out or tell the difference between the recently upgraded 105 and the older version? I’m having trouble justifying the price tag especially in a country where it seems it would be difficult to get my bike properly serviced but I know I would regret getting a lower end bike at the same time. Thanks! HI just got the bug and already thinking upgrade. I did not do my Home work before starting. I Purchased Raleigh Renenio with a Claris groupset. Nice little bike, But the bike shop did not have good customer service skills. So l am looking for more advice . Upgrade this bike with 105 groupset or buy a better bike. I no spring Chicken at 62 years old, but are trying to do 100 miles a week. A groupset is about £500 plus . What do I need to up Grade this Bike and at what cost. Hi personally I’d get a new bike, find one with 105 group set, look at a cube they are good value. I won’t race, just leisure rides and some group rides. Ave ride 25-30 miles, group rides are 50-75. I rode the Sora for 20 miles. Comfortable but was not impressed with the rim brakes. If all three are in price range then go for the Tagra or 105. I believe both have disc brakes, which will be a big improvement on the rim brakes you didn’t like on the Sora. The 105 will of course be a bit nicer and is 11-speed, but the big jump is going from Sora to Tiagra. Shift performance on Tiagra 4700 is very good as it’s basically the same technology as in 105 and up, but it’s restricted to 10 speed so is essentially incompatible with everything else and in my view is a dead end. On the other hand if you start with 105, you have the option to upgrade bits over time because 105/Ultegra/Dura Ace are all compatible. Ideally find a big bike shop near you (if you’re in London I can recommend Evans at St Pancras and Spitalfields) and test ride the Tiagra and 105 to help make your mind up. Hello I am the owner of 2004 Trek 5200 with original Shimano Ultegra 6500 9 speed and Bontrager Race Lite wheels. This was my first ever real road bike and the bike remains in excellent condition. That being said I would love to upgrade the groupset to the Shimano 105 with a compact 50-34. Being in my mid-50s the legs/knees could use a break with the amount of climbing I do in my area. When I approached my LBS with this option he mentioned that the front derailleur would be an issue,not go low enough, for a compact on this model bike. I would like to know if what I want to do is possible and if so what other details I might be missing. I think I would also have to change out my rear hub. Hi Ed, I just had a look on Trek’s archive and you have a very nice bike! As it’s a carbon frame you almost certainly have a braze-on front derailleur where the FD bolts to a small bracket on the seat tube. The bracket usually has a slot to allow vertical adjustment, but given the age of the bike that slot probably doesn’t go down far enough so I suspect your LBS is right that you can’t get the FD low enough for a 50T chainring. Even if you can’t use a compact, the current 105 5800 groupset offers a 52/36 chainset that you might be able to get away with as a compromise, and also has an 11-32T cassette, so you should still be able to get a significantly lower gear by upgrading. As you thought, you will also need a new rear hub to go to 11-speed. Hi, any idea where in the derailleur hierarchy a derailleur model A070 would be. The bike I would like comes with this set. Hi Bob, that’s the Shimano Tourney, which is one below Sora. It’s a good beginner’s choice if you wanted to keep the cost down but won’t offer some of the benefits of later/more advanced groupsets, most significantly it is only 7 speed. Hope this helps. 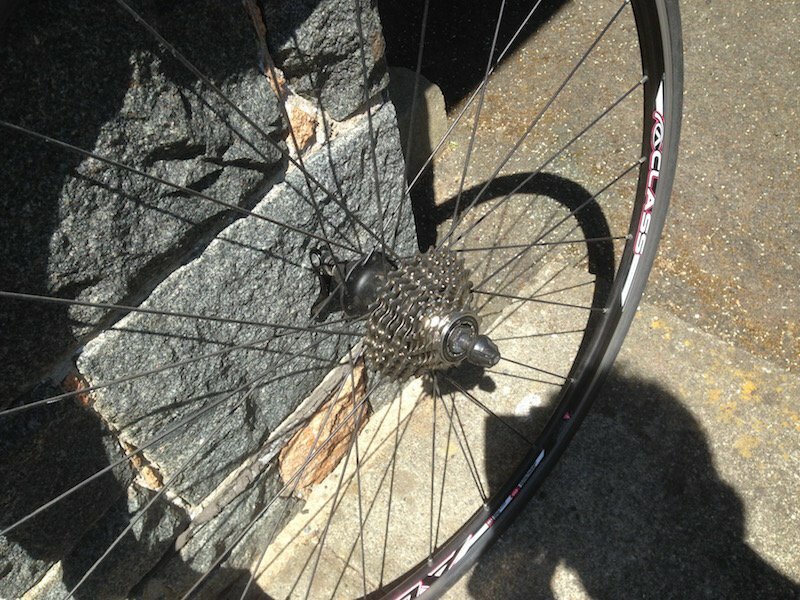 Your advice on upgrading Shimano Gears is only partially correct. I successfully upgrade from Sora (9 speed) to Tiagra (10 speed) by changing the cassette, chain and shifters. No need to change the Rear Derailleur. The shifters in the previous version of Tiagra (4600) were indeed compatible with lower level road (and 9 speed mountain, which is what I’m using) rear derailleurs. The new Tiagra (4700) is basically 105 (5800) with an indexing position removed, so is no longer compatible with the lower groupsets. The amount of cable pulled for each click of a 4700 shifter has changed, so a Sora derailleur would move the wrong amount to change gear cleanly. Hi, I have two road bike trek alpha 2.1 and trek Amonda S e2 and both have the same 1O5 Groupset and just wanted to upgrade one to ultegra or Dura-Ace!! And if yes can you suggest where I can get the best deal as stay in Delhi – India Thanks in advance!! Hey, I am currently looking at buying a BMC road racer SL01 ultegra, but the model is from 2011 or 2012. I was just wondering how much the ultegra system has developed since then, and would it be better to get a 2016 or 2017 bike, but with shimano 105 or sora instead? I suspect that bike would have Ultegra 6700, which was the first version with internal gear cable routing (under the bar tape). Shimano made big improvements in the gear change mechanism for the 6800/5800 shifters to reduce cable friction, with the result that current 105 shifts noticeably better than the previous Ultegra. The other consideration is that Shimano have basically dumped that generation of 10-speed road kit. The new 105/Ultegra/Dura Ace groupsets are all interchangeable, and even Tiagra 4700 is mechanically compatible for shifting despite being only 10 speed, so I suspect over time replacement parts for the older 10-speed systems will start to get less common. My bike GS is Shimano 105-5700 series with cassette size 11-25T (10 speed). Is it possible to change its cassette with 11-40T or 11-36T? How? This will depend on the length of your rear mech. The best way to determine if it’s possible without spending a lot is to pop it into a store and get them to have a look and check it over. You can probably fit an 11-36T, but 11-40T is likely to be a step too far. You’ll definitely need to change the rear derailleur for a good quality 9-speed mountain bike one, because the road RDs can’t handle a 36T rear cog. You’ll probably need the long cage (SGS) version to handle the slack in the longer chain – you can look up derailleur specs at http://productinfo.shimano.com. The RD must be a 9-speed one, because the 10/11-speed mountain RDs are not compatible with road shifters. The road and mountain 10-speed cassettes are the same width so there’s no issue there. For reference, I’m using Tiagra 4600 shifters (same cable pull as 5700) with a Deore XT RD-M761-SGS rear derailleur and a Shimano SLX 11-36T cassette, and it works perfectly. I just needed to screw the b-screw on the derailleur all the way in to ensure the derailleur pulley wheels cleared the 36T cog. I tried going up to 40T but it didn’t work. Even with a longer b-screw, the derailleur pulleys rumbled against the 40T cog and shifting deteriorated. In theory the whole RD can be moved away from the cassette using something called a RoadLink, but it wouldn’t mount to my bike due to the shape of the existing derailleur hanger so I couldn’t use it. I folks, I have a 2016 Specialized Roubaix sport. It has mostly 105 components, but an FSA Crank and Axis brakes. I was new to biking when I bought the bike so I didn’t want to spend ungodly amounts of money not knowing if I was going to like cycling or not. Well it has been almost a year and I love it. What would be the advice to upgrade my bike to get more efficient and proficient? Should I change my crank to an Ultegra/Dura Ace and then slowly start upgrading the rest of the parts? Other ideas? I have an old Shimano Exage 500ex and I would like to upgrade to something a bit modern with more gears. Currently its a 7 speed and 2 cogs on the crank. What are my options? Hey Moolz, I’d recommend visiting your local Evans Cycles store to discuss your exact requirements. One of our mechanics would be more than happy to discuss upgrading your components and/or see if it’s cost effective against a more modern setup on a new bike. Hope this helps! I bought a Fuji Roubaix Pro in 2009 from Evans – still have the cycle going strong today in 2018 on Guernsey. It was ens of season and a good year for spec from Fuji – it has their FC-770 bonded carbon forks on a Altair 2 custom butted light aluminium frame with a mix of Shimano Ultegra and 105 across the board (including the brakes), competition tyres. The only elements I keep meaning to change are the heavy front FSA ring and ALX wheels although to be fair, neither have given me any trouble in 8 years. I got the cycle for £780 all in and the following year Fuji dropped it to a lower spec on the Shimano (price want up £100) so I think I did well – thanks Evans! Just put a new rear 105 cassette on and ultegra pads this weekend – couple of pics: https://pbs.twimg.com/media/De6_dSeW4AA4Tlr.jpg https://pbs.twimg.com/media/De6_fHCXkAEoxuc.jpg and pads for £12 made a huge difference https://pbs.twimg.com/media/De6_gBkXcAAN06l.jpg – will be changing them more often. I’m thinking of buying a hardtail mtb with 3×9 gears for long road rides. But i saw a Cannondale Caad8 Tiagra 2015 on sale for only around $540. I’ve used road bikes, but i don’t know much about it, so i came here to check the groupset hierarchy. Although Caad8 2015 is an older model and doesn’t have internal cabling, it still looks real good, and i’ve read good reviews about it. It’s Tiagra 4600, not the newer 4700, and has 12-28 cogs compared to Sora’s 11-28. For a possible first time road bike owner, would u recommend this to me?